Professor Hankin joined Imperial in 1984 and was promoted to Professor in 1995. He is Director of the Institute for Security Science and Technology. His research is in cyber security and data analytics. He leads multidisciplinary projects focussed on developing advanced visual analytics and providing better decision support to defend against cyber attacks. 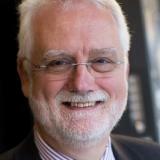 He is Director of the NCSC/EPSRC Research Institute on Trustworthy Industrial Control Systems. This is a UK initiative involving 5 universities that is working on developing a better understanding of the cyber threat to industrial control systems and new ways to mitigate against the threat. He is Chair of the Academic Resilience and Security Community (Academic RiSC) and sits on the ministerial oversight group of the Security and Resilience Growth Partnership at the UK Home Office. He was Vice Chair of the DG CONNECT Advisory Forum for the European Commission until 2015. He is Chair of the ACM Europe Council.